The finish of the golf swing is not just a position we arrive when the swing is over. It embodies the entire swing. The swing is the sum of its parts. All the parts must be linked up together, as Percy Bloomer described it, so the golfer can proceed to the finish, and it is by swinging to the finish that the parts are linked up. What I mean by this is understanding that what happens after the ball is struck counts as much as everything you did beforehand. You hit the ball with all of your swing. Instructors have lately emphasized impact as the most important phase of the swing, and they are right, in a way. That is when the ball is struck, and how the strike turns out is everything. But it will not turn out well if the pursuit of a good strike makes the activity of the swing end at impact. 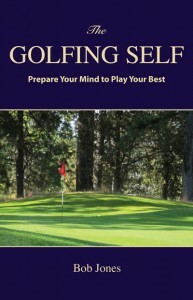 The direct pursuit of a good strike leads to end-gaining*, inconsistent ball-striking, and the inability to improve. A good strike is the residue of a good swing, from start to end. To become the player you want to be you need to internalize that maxim. Getting an A on the written test doesn’t count. 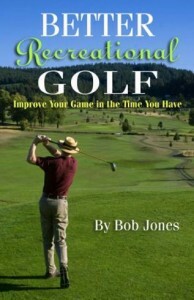 To play good golf you need to get A on the practical exam. Train yourself, and this is a mental exercise, by swinging without the ball in front of you, over and over, not thinking of any mechanics, nor of a backswing and a forward swing, or hitting an imaginary ball, but rather of one motion that connects the start (address) with the end (finish). One motion, over over, from the start to end. When there is a ball in front of you, here’s a reminder (not a swing thought). As you’re about to take the club away, you usually have a feeling of hitting the ball. Replace that with a feeling of swinging the club. Actually feel the entire swing, especially the part that sails through the ball and continues to the finish. Now you can go. 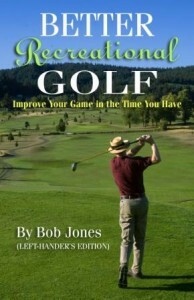 If you’re an OK golfer and want to become a good golfer you need a new conception of the golf swing. Ending your golfing activity at the finish, using the entire swing to hit the ball, is that conception. *The natural act of doing what seems obvious to achieve a result instead of doing what is right to achieve that result.